Chris Paul had a new home in Los Angeles and the potential for a $200 million contract with the Clippers. But he wasn’t sure he’d ever win there. He eventually accepted a trade to Los Angeles and the process is the subject of a three-part documentary that debuts Thursday on ESPN. Chris Paul had a new home in Los Angeles and the potential for a $200 million contract if he stayed with the Clippers. He also had reason to doubt a championship would ever come there. So sometime between walking off the floor after a Game 7 loss with the Clippers last spring and walking back onto it Tuesday night in a Houston Rockets uniform at Golden State, Paul decided he needed to pack up his family and try for a title elsewhere. “I just felt that it was time,” Paul said. His free agency process and decision is the subject of a three-part documentary series titled “Chris Paul’s Chapter 3” that debuts Thursday on ESPN. “Somewhere, I don’t know when it was – I’m not a saint by any means, it could have a lot do to with me also – but we just weren’t having as much fun,” he said. He talked with his family and business partners about possibilities with Boston and San Antonio – where he feared Gregg Popovich might only coach for a couple more years – and visited music mogul Jay-Z and Disney CEO Bob Iger for their advice. 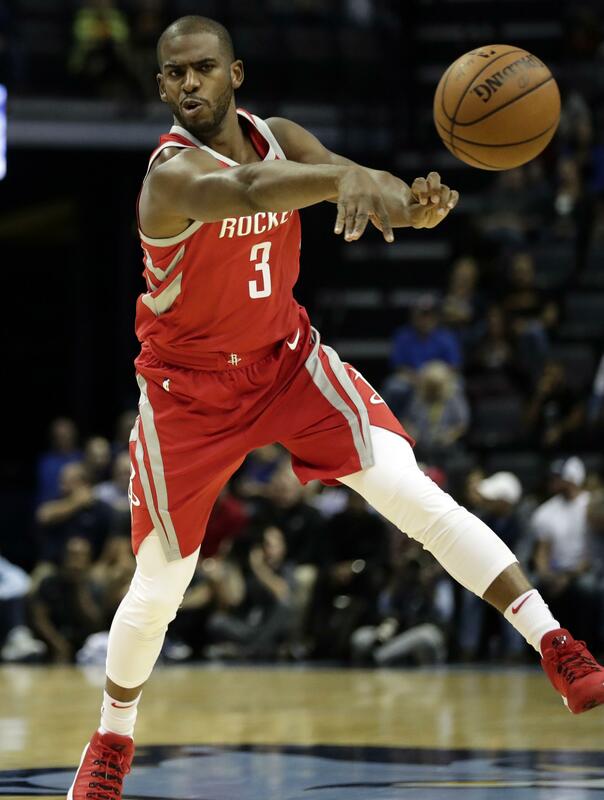 He began to view Houston as the best option and eventually accepted a trade in late June, agreeing to opt in for the final year of his contract and delaying free agency until next summer. All that after he had bought a house in Los Angeles across the street from Clippers teammate Paul Pierce, moving his in-laws in last January. Paul never planned for his first real foray into free agency to become public. He wanted the videos shot for his own personal archives, but after reviewing the footage decided that others would be interested. Paul laments having to always have the ball in his hands in Los Angeles – which won’t be a problem alongside James Harden in Houston. And he worries about having to move his two young children, eventually telling his son he can’t go do his job without him. And after they finally move, Hurricane Harvey devastates Houston. “In this series, Chris Paul gives fans a truly unprecedented look at his free agent decision-making process,” said Connor Schell, ESPN executive vice president of content. The former Olympian said he learned a lot about the free agency process – but would love to avoid having to do it again next summer. “In a perfect world you win a championship and there’s nothing to even talk about,” he said. Published: Oct. 17, 2017, 9:03 a.m. Updated: Oct. 17, 2017, 3:40 p.m.